What stirs your heart when you read and ponder the intimate conversation between the Samaritan woman at the well and Jesus? Have you also wondered why we don’t know her name? I believe that’s intentional. It is for me. Haven’t we all in some way been the woman at the well? Haven’t we all needed Jesus Christ in the midst of a crisis? And Jesus knew not only her name but he knew everything about her. Ouch. When Jesus talked to the Samaritan woman, he transcended the expected standards of the day. Jews weren’t supposed to speak to Samaritans. Some would have certainly found the Samaritan woman disreputable, as the man she was living with was not her husband. When we encounter women who have had multiple sexual partners and repeat abortions, it could be easy to make certain assumptions. Yet, look into their eyes and you’ll see doubt and disbelief when told that they are worthy of a truly loving and committed partner, as in the context of marriage. Gently, as we begin to unwrap this gift and offer a different perspective, we’ll often see a softening come across their faces. We understand how hard it can be to hear a different message of how valuable and loved they are. We understand, because haven’t we all had times when it has been hard to be confronted with truth or our true selves? Yet, when this exchange begins to take root in our hearts and sinks in deep—like the Samaritan woman (who forgot her water jar in excitement)—we can let go of the past, and face the future filled with hope because we’ve met the Messiah. My heart is filled with gratitude because through you and the sharing of the Good News, God’s grace and forgiveness are being offered to our modern-day women in crisis. Women whose futures can be changed forever because you cared enough to help and you cared enough to share what has been entrusted to you. 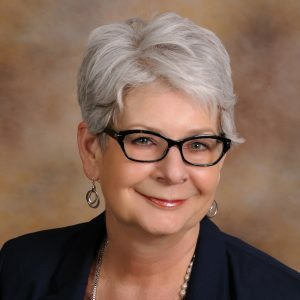 Liz Osborn, CEO, has been with Care Net since the beginning. After volunteering, she started as Executive Director in 1986. In her spare time, Liz enjoys being with her four grandchildren, boating with her family and friends, and exploring God’s amazing creation through travel and hiking.